We are building a list of books that our readers feel worthy and offer great perspective as related to Brain-Based Learning. To post a book review, or to to recommend a book you’ve read, feel free to post a comment below. We’ll add it to this list if it meets the criteria of being a great book for educators. Thanks! This is the first book to take on the damaging mindsets that are hurting the chances of students from poverty. It is incisive, clear, research-based and action oriented. It speaks to what teachers can do today to start getting better results. You will get exactly WHAT to do and HOW to do it. You and your staff will go bonkers over this. Chapter 1: Why Should You Care About Poverty? Chapter 2: Why Should You Embrace Change? Part One: Why the Relational Mindset? Part Two: Why the Achievement Mindset? 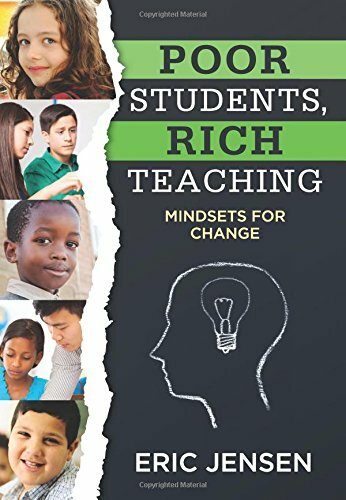 Part Three: Why the Rich Classroom Climate Mindset? Part Four: Why the Engagement Mindset? This book is a game changer. You get poverty background, real science, fresh research on what works, and most importantly, the new mindsets needed to succeed. Every chapter gives you real strategies you can implement immediately in your school or classroom. Buy it today and enjoy the new you!